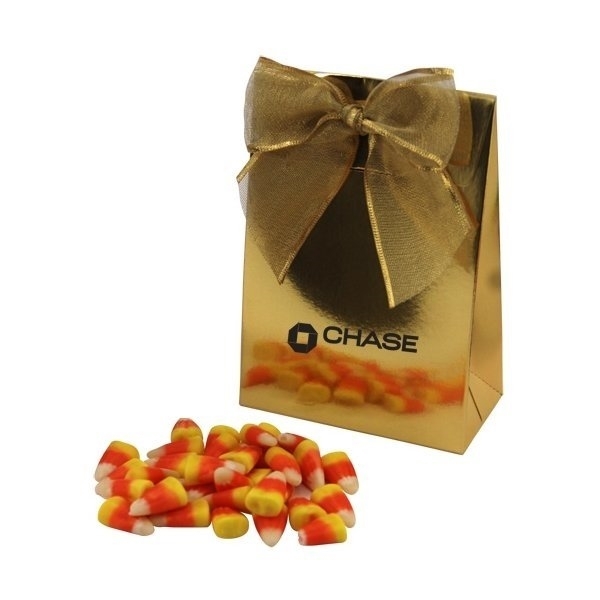 Gift box with Candy Corn. Very satisfied with this item. Have order same product from different vendor in the past, but was more satisfied with the quality of imprint from Anypromo. It had been exactly the quality we expected. High quality.